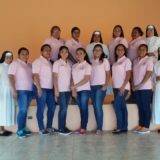 The Madre Albertina nuns run The Girls Home, where 45 girls are cared for and supported throughout their childhood. The girls are social orphans, not able to stay with their families due to distinctive circumstances. How you can show your support for the Girls and their careers. 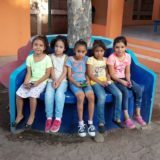 Understand the reasons why the Girl’s home exists and what hardships face children growing up in Nicaragua. 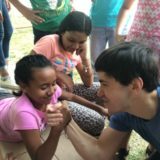 We have been working with Justin Long for 5 years, to create informative short films about the home, the girls and visits to some of their homes. Recent reports and activities at the home. Support The Girls Home by purchasing an exclusively designed handmade product. All funds go directly to the Girls Home. New items coming soon. See our current stories below.